Thanks to a sale from Amazon and Best Buy, you can grab one of 2018’s most critically acclaimed games, Assassin’s Creed Odyssey for only $20. This is notable because it’s the best deal the game has seen since it’s launch in October of last year. When compared to the base price of $60, being able to get it for $20 is a no brainer. So, if you’ve been on the fence about grabbing a copy, now’s your chance. Plus, if you get it from Best Buy, you’ll get points that you can eventually use towards a money-off coupon. We absolutely loved Assassin’s Creed Odyssey here, giving it an Editor’s Choice award and praising its story, characters, and fun combat system. This game expanded on 2017’s Assassin’s Creed Origin’s, which sent the series in a new direction, adding more in-depth RPG mechanics, more choices, and a wider variety of combat options. 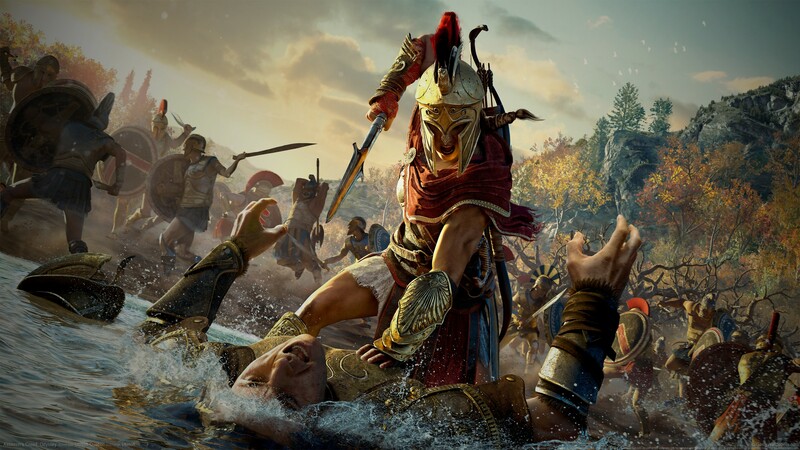 In Odyssey, it’s safe to call it a full-on RPG, adding even more depth, especially when it comes to the two protagonists, Alexios and Kassandra. Ancient Greece has never looked so beautiful, making Assassin’s Creed Odyssey one of the best — if not the best depiction of that time period. On top of that, you’ll get a ton of bang for your buck, as you can easily spend upwards of 80+ hours just in the base-game, not including the numerous expansions that can add to that. Ubisoft has experimented with the games as a service model with Odyssey, despite it being an offline game. Each month, there are content drops, adding updates, new gear, new missions, and more. Since there will be no new Assassin’s Creed game this year, Ubisoft plans to support Odyssey for a while, making sure that it keeps its relevance leading up to the next game’s release. If you’re craving a deep and expansive RPG with a ton of personality and don’t want to spend too much, Assassin’s Creed Odyssey is a great choice. Have you been holding out for a sale? Let us know if you plan on picking it up!